Sometimes you need a little getaway. Not an over-the-top trip, but a weekend scoot that won’t break the bank or cost a body part. Cue Virginia’s Blue Ridge to the rescue! After all, it wasn’t that long ago we were named a top budget destination by Budget Magazine. 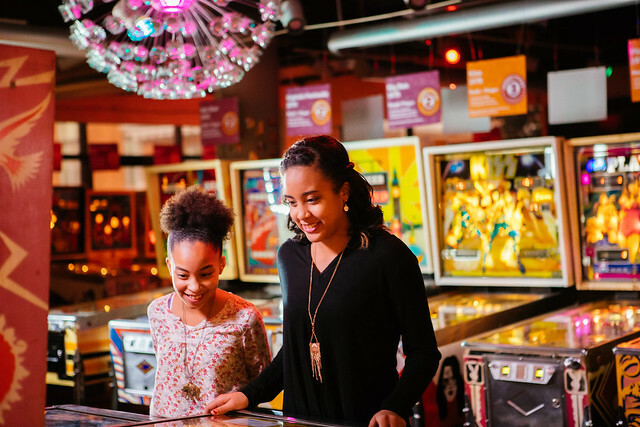 Whether you’re looking for activities cool for families or taste the authentic cuisine of Virginia’s Blue Ridge, we’ve compiled a list that’s sure to inspire travel thriftiness on a budget, which includes ideas to save on gas by enjoying activities and food in close proximity of one other. Fresh air is so good for the soul. Break away from your desk, cash register, salon, or other “inside” job and smell the honeysuckle of the mountains. Did you know Roanoke has an entire mountain within its city limits?! Mill Mountain is a destination unto itself with the Roanoke Star, Discovery Center, Mill Mountain Zoo and the trails in Mill Mountain Park to choose from. No visit is complete without a selfie at the star and then a peek at the Star Cam to see yourself. Be sure to wave! Get a cool treat at Blue Cow Ice Cream, less than three miles from the Star at the base of the mountain. Explore Park offers miles of trails to hike or bike and includes a portion of the scenic Roanoke River Blueway. Learn a bit of history while you’re there, too, when you check out the historic buildings on site and the Blue Ridge Parkway Visitor Center. Keep an eye peeled for exciting family fun to come: camping and a ropes course! When you’re hungry, head to the nearby Town of Vinton for New York Pizza or Dogwood Restaurant, both open for lunch and supper. Wash it all down with drinks and live music at Twin Creeks Brewing Company. 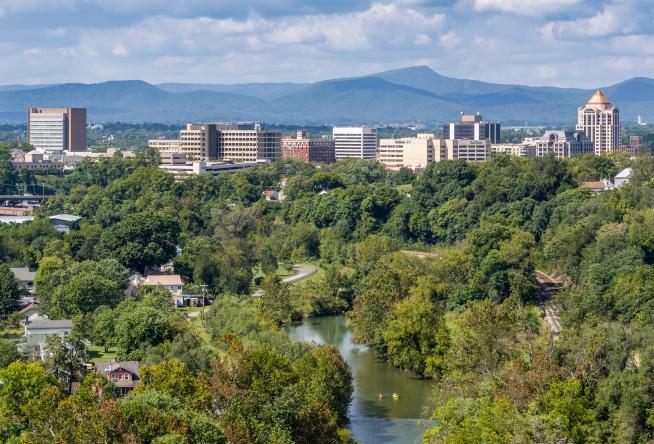 The Roanoke Valley Greenways offer more than 30 miles of paved trails that allow you to hop park to park on foot or bike, and they also run parallel to water, adding to the scenery. Bike rentals are available at UnderDog Bikes and Roanoke Mountain Adventures, and you’ll find off-the-Greenway craft beer at Starr Hill Pilot Brewery & Side Stage in Roanoke, or Parkway Brewing and Ober Brewing in Salem. Often there are food trucks on hand at the breweries. If you’ve yet to try your hand at Disc Golf, now’s your chance. It’s a more skilled version of plain ‘ol frisbee that’s perfect for just about every age. Challenge your family members to a round at one or more of our disc golf parks. Popular options among local golfers include courses at Greenfield Recreation Park, Highland Park, and the new Mayflower Hills course. To really take in the views, travel the Blue Ridge Parkway with a picnic in mind (maybe stock up at a farmers market?). Some of the most popular spots are Abbott Lake at Peaks of Otter, Roanoke Mountain, and Rocky Knob. 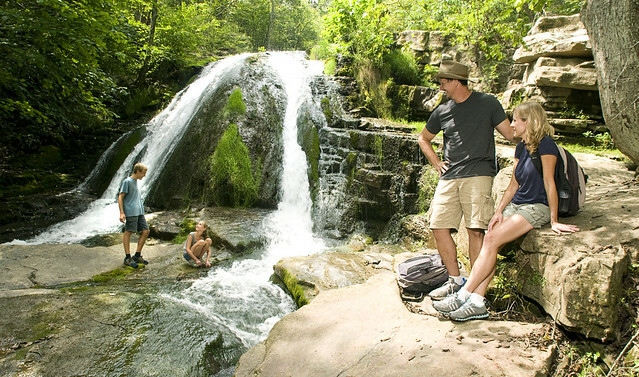 Waterfall hikes are all the rage, and there is one in particular that is great for fishing, wading, swimming, a history lesson, and general scenic interest. It’s Roaring Run in Eagle Rock, a 1.4-mile trail that includes the ruins of a 19th century iron ore furnace. For post-hike eats, check out Maw & Paw’s Diner and chow down on one of the best burgers in Virginia’s Blue Ridge. Fine art on the cheap? You bet! The Taubman Museum of Art is free to visit with only special exhibits costing you an admission fee. The kids will love getting hands-on with an interpretative space all their own, and the view from the balcony is pretty rad. 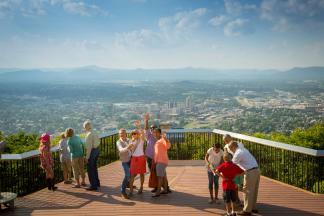 Be sure to check it out and see a portion of Roanoke you can’t appreciate from the ground. Nearby lunch and supper is offered at reasonable prices at Benny Marconi&apos;s and Roanoke Weiner Stand (one of the best hot dogs around!). There are free things to see at Center in the Square, including multiple aquariums and a rooftop garden that are available to everyone. Nearby, great food can be found at our vintage favorite Texas Tavern or Alejandro&apos;s Mexican Grill. Who doesn’t love a treasure hunt? Geocaching is the modern name for finding exactly where “X” marks the spot. Handheld GPS devices have come down in price, making geocaching a great family activity. The Eleanor D. Wilson Museum at Hollins University is also a free art museum worth your time. Their collection includes a number of Andy Warhol’s original Polaroids as well as silver gelatin prints. The Salem Museum offers a great overview of the history of the City of Salem, a location born out of westward expansion along The Wilderness Road: Virginia’s Heritage Migration Route. Add a Historic Salem Walking Tour to your day. Peruse historic neighborhoods and learn about a number of buildings dating from 1802 to the 1904. Afterward, grab a bite to eat at local favorites Mac & Bob&apos;s, Chip & Jo&apos;s, or Our Daily Bread. Just don’t forget to leave room for an old-fashioned ice cream creation from the Salem Ice Cream Parlor. Bring on the water! Summertime temps call for H2O and we love tubing at Waid Park in Rocky Mount as a cheap option. Waid Park is a free public park and you can grab an inner-tube there for just $5 per tube for the day on the weekend. After a nice soak and float, savor something awesome at The Hub Restaurant or Kupkakery. Nom! In Hardy near Smith Mountain Lake, the Booker T. Washington National Monument is managed by the National Park Service and tells the story of an enslaved boy who went on to become an influential orator, author, and presidential advisor, not to mention the Founder of Tuskegee Normal and Industrial Institute, now Tuskegee University. Reward yourself for taking time to learn some history with a stop at Homestead Creamery, makers of homemade ice cream and an excellent variety of milk. Let us see your budget weekend! 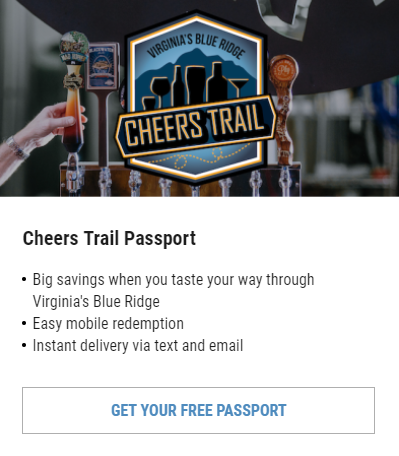 Include #BlueRidgeDay in your social posts while you visit or in your public albums when you return home. Looking for more inspiration? How about the Top Summer Activities for Kids or An Affordable Art-Filled Weekend? Subscribe to our e-newsletters to get the scoop of the best ways to experience Virginia’s Blue Ridge this summer and beyond.